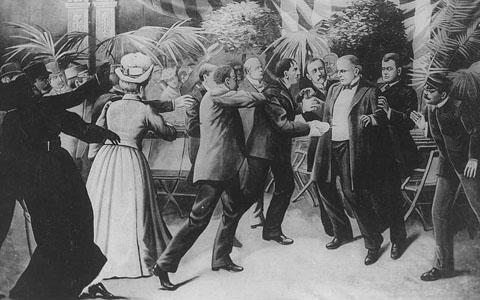 In September of nineteen hundred and one, President William McKinley was assassinated. His vice president, Theodore Roosevelt, was sworn in to replace him. Roosevelt was forty-two years old -- the youngest man ever to hold the office of president of the United States. This week in our series, Maurice Joyce and Shep O'Neal tell the story of President Theodore Roosevelt and his administration. MAURICE JOYCE: Theodore Roosevelt became president at the beginning of the twentieth century. It was a time of rapid changes in American society. The changes were a result of technology. Great progress had been made, for example, in transportation. Almost every American city had a street railroad, or trolley. These systems were powered by electricity. Thousands of Americans owned automobiles. And Henry Ford was planning a low-cost version which even more people could buy. Great progress had been made in communications. There were telephones in almost every business office in the cities and in many homes. And Italian inventor Guglielmo Marconi had sent the first wireless message across the Atlantic Ocean. SHEP O'NEAL: It was clear that the United States had made great progress in technology. Yet many believed it had made little progress in social issues. These people felt America's natural resources were being mis-used. They felt America's farmers were poorer than they should be. They felt America's industries were unfair to workers. Since the late eighteen hundreds, a spirit of reform had been growing in the United States. It started among farmers and led to the creation of a new political party -- the Populists. Then organized labor joined the movement. Then middle class Americans. Not everyone agreed on ways to solve society's problems. But they were united in the belief that social progress had to be made. The future of American democracy, they said, depended on the success of the progressive movement. The man who came to represent the spirit of reform most of all was the new president, Theodore Roosevelt. MAURICE JOYCE: Roosevelt was born to a wealthy family in New York City in eighteen fifty-eight. He was a weak child with poor eyesight. He spent much of his time reading. When Theodore was thirteen years old, he got into an argument with two other boys. He tried to fight them. But he was not strong enough. That incident was a turning point in Roosevelt's life. He decided to overcome his physical weaknesses through exercise and hard work. He lifted weights, ran long distances, and learned how to be a boxer. He continued these activities while he attended Harvard University. After college, Roosevelt married Alice Lee and returned to New York. He became active in the Republican Party. When he was just twenty-three years old, he was elected to the state legislature. Roosevelt quickly became known as a reform politician. He denounced all forms of dishonesty in government. SHEP O'NEAL: Roosevelt's first political career did not last long. He withdrew after four years, following the deaths of his wife and mother. His sadness was so great that he could not continue. Roosevelt moved to a ranch in the Dakota territory of the American West. He began to raise beef cattle. At first, the local cowboys laughed at him. They called him "four eyes," because he wore eyeglasses. They stopped laughing when they found he could do the hard work of a cowboy as well as any of them. MAURICE JOYCE: Roosevelt spent two years in the West. Then he returned to New York and a life in politics. He became the Republican candidate for mayor of New York City, but lost the election. Then he campaigned for Republican Benjamin Harrison in the presidential election of eighteen eighty-eight. Harrison won. And he named Roosevelt head of the federal Civil Service Commission. Roosevelt fought hard to keep politics out of the civil service. Democrat Grover Cleveland was elected president four years later. He approved of Roosevelt's civil service reforms. He asked him to remain in the job. Roosevelt did so for another two years. Then he became Commissioner of Police in New York City. Once again, he pushed for reforms. He removed policemen found guilty of receiving illegal payments. SHEP O'NEAL: In eighteen ninety-seven, President William McKinley named Theodore Roosevelt Assistant Secretary of the Navy. The United States went to war against Spain a year later. Roosevelt wanted an active part in the war. So, he resigned and joined the army. He organized a force of horse soldiers known as the "Rough Riders." They were honored for bravery in the Battle of San Juan Hill in Cuba. Roosevelt was now a war hero. Republican Party leaders in New York thought he would be the perfect candidate for governor. 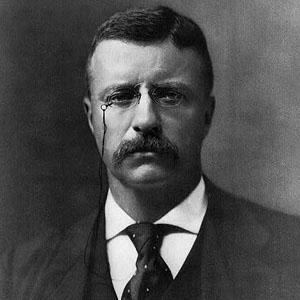 Teddy, as the public called him, won a close election. He soon made clear he would not take orders from party leaders. The new governor proposed controls on businesses. His main targets were companies that supplied the public with water, electricity, and natural gas. He demanded changes in the food and drug industries. And he shortened the work day for women and children. MAURICE JOYCE: The public praised Roosevelt's reform efforts. Local party leaders did not. As one said: "I do not want him raising hell in my state any longer." Local leaders decided the best way to get him out of New York politics was to support him for vice president of the United States. The office gave a man very little voice or power in politics. Roosevelt did not want the job, for that reason. By then he wanted just one thing: to be president of the United States. He was sure being vice president would ruin his chances. But he accepted the nomination at the national convention. He would run on the ticket with William McKinley. Sadly he said: "I do not expect to go any further in politics." Several months after he was sworn-in as vice president, he was sworn-in as President. William McKinley was dead. Theodore Roosevelt became president as the result of an assassin's bullet. 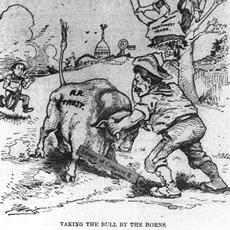 SHEP O'NEAL: Roosevelt promised party leaders that he would continue McKinley's policies. He said he would move slowly in making any changes. In his first message to Congress, President Roosevelt offered a few new proposals. He asked for a Department of Commerce and Labor to deal with industrial problems. He called for a stronger Navy and for limits on immigration. And he proposed building a canal in central America to link the Atlantic and Pacific oceans. MAURICE JOYCE: Businessmen who feared the worse when Roosevelt became president began to breathe easier. It seemed he was not going to push for reforms after all. But Roosevelt was only following an old hunting rule of African tribesmen. "Speak softly," the rule said, "and carry a big stick." Roosevelt spoke softly during his first months as president. He would use the big stick later. When the blow came, it was against big business. A group of wealthy railroad owners had agreed to join their railroads into one. They formed a company to control it. The new company would have complete control of railroad transportation in the American West. There would be no competition. SHEP O'NEAL: President Roosevelt believed the company violated the Sherman Anti-Trust Law. The law said it was illegal for businesses to interfere with trade among the states. The law also said it was illegal for any person or group to get control of a whole industry. Since the anti-trust law had been passed in eighteen ninety, few companies had been found guilty of violating it. So, many people were shocked when Roosevelt announced he was taking action under the law against the railroad trust. He said there could be no compromise in how the law was enforced. BOB DOUGHTY: Our program was written by Frank Beardsley. The narrators were Maurice Joyce and Shep O'Neal. You can find our series online with transcripts, MP3s, podcasts and images at www.unsv.com. 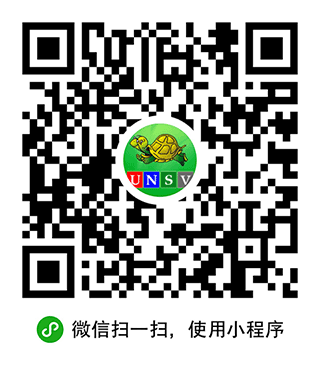 You can also follow us on Facebook and Twitter at VOA Learning English. Join us again next week for THE MAKING OF A NATION -- an American history series in VOA Special English.